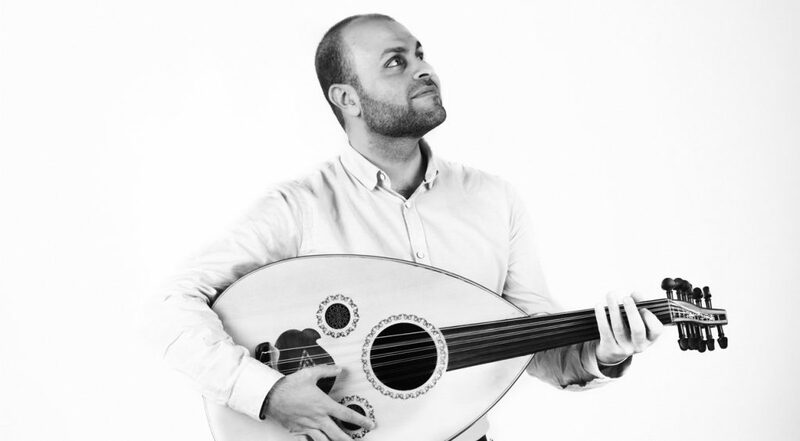 Syrian-Palestinian musician, Muhannad was taught singing and Arabic lute from an early age, receiving first-hand the heritage of traditional Arabic music. His participation in many bands and his performances as a soloist have taken him to countries such as Libya, Algeria, Sweden, Portugal and Spain. He was part of the Alwda band, formed by the Palestinian embassy in Algeria, and has performed at Al Bassel Theater in Aleppo (Syria) with his band Hulom, as well as being a soloist and singer in several concerts in Sweden. 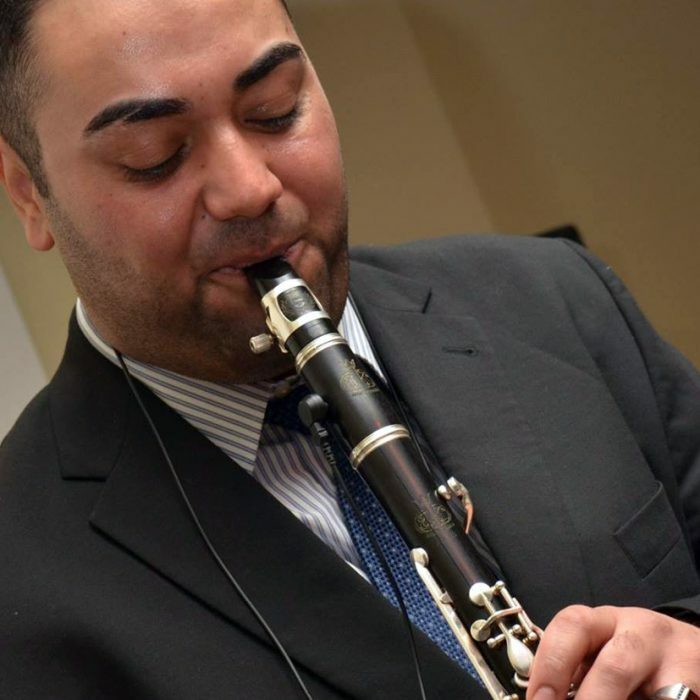 In 2015, self-taught Muhannad moved to Spain, where he continued his musical training. 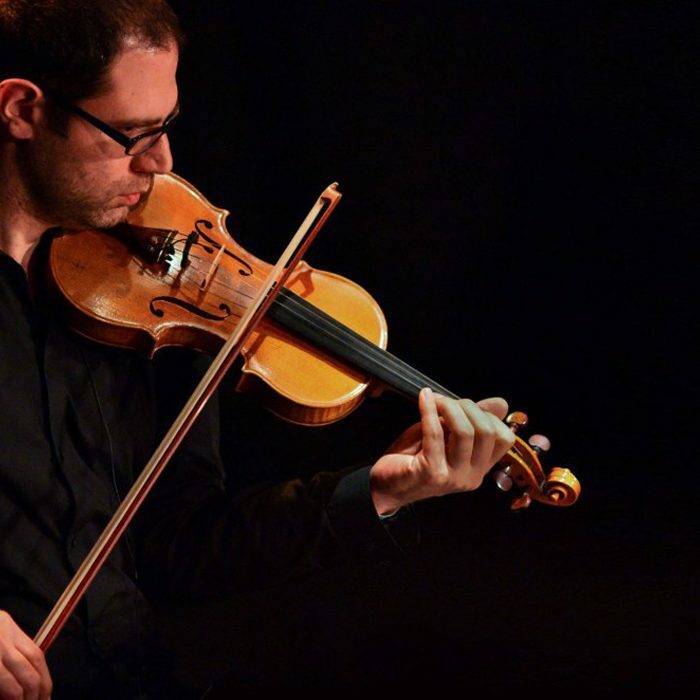 He has appeared as a guest musician at events and festivals such as the open-air concert ‘Nights in the Gardens of Real Alcázar’ in Seville, the Edgar Neville theatre in Málaga and the Casa Árabe Madrid. 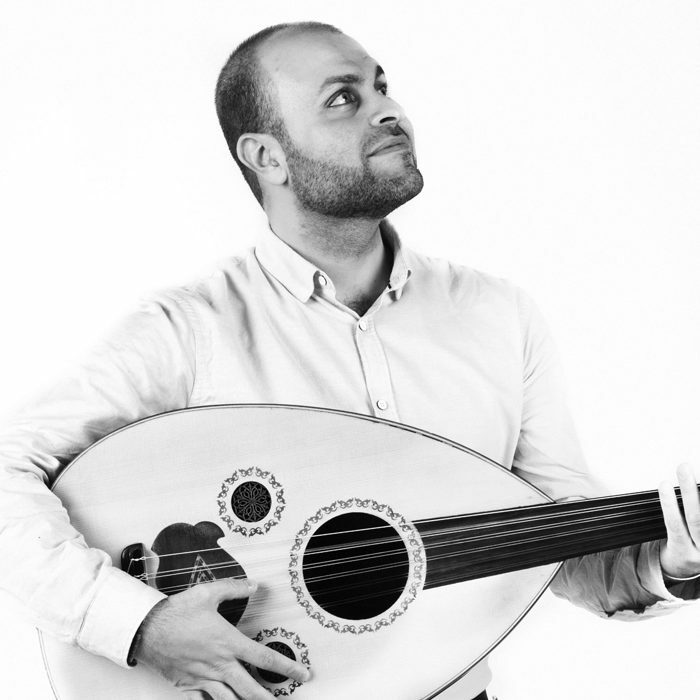 He has also collaborated with different institutions and musical formations on several projects such as Ázar, Mawwál Trio, Sham and Masharabiya. Life is a succession of unexpected encounters. Mashrabiya emerges out of a spontaneous meeting and ends in a shared musical space in which the oud and the clarinet melt intimately, wrapped in the warmth and velvet of the cello and the rhythmic cadence of the percussion. 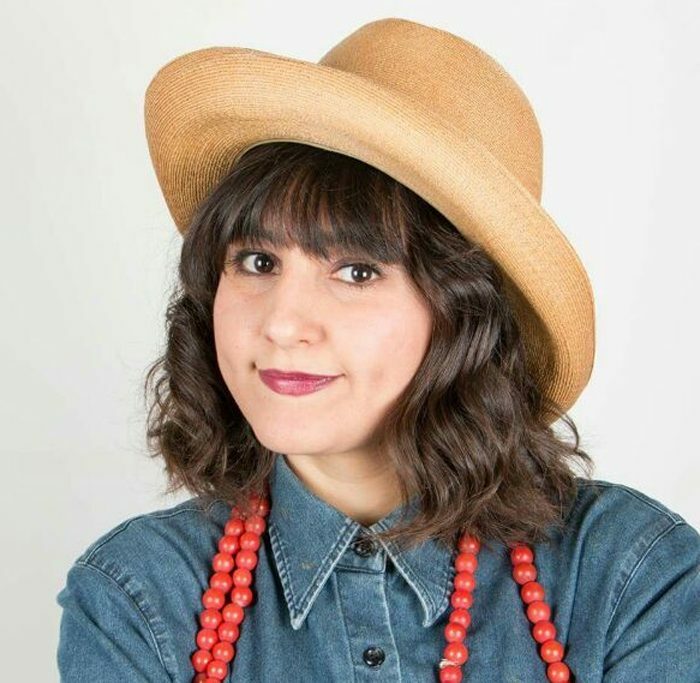 This meeting is the beginning of a process of searching for sounds, nuances, cadences starting in the Middle East, and gathers on its journey through Andalusia dances and songs from the Mediterranean. The band Mashrabiya describes itself as a window that looks towards other cultures which are either different or related. 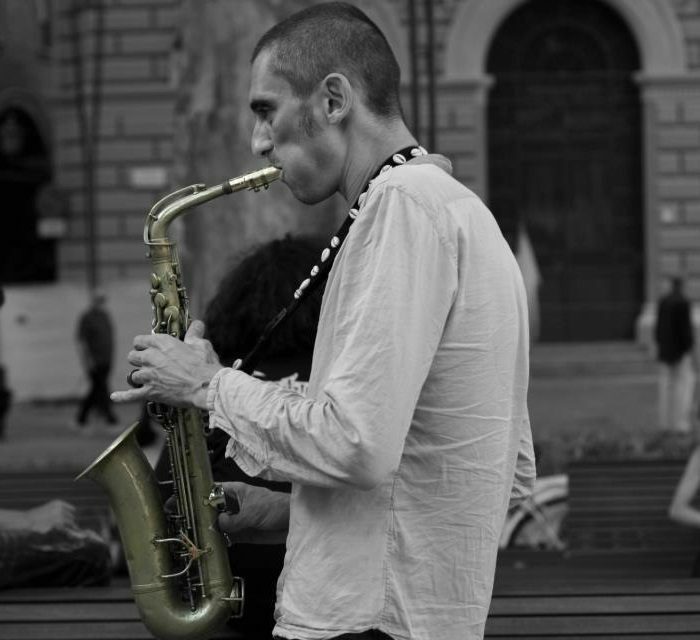 The term mawwál refers to a form of free vocal improvisation which is very common in the Arabic musical repertoire. At the beginning of a song the mawwál indicates which musical modes will be used. It is a concept derived from classic forms, still used today, to understand the noble art of making music as people understood it during ancient periods. These forms were transferred to the old medieval Europe because of the Andalusian influence on the Iberian Peninsula from the 8th century until the beginning of the 17th century, permeating the musical and poetic production throughout this period. The Mawwál trio was formed in 2014, it was born out out of previous music projects with the aim of exploring the traditional repertoires of the Mediterranean as well as those rooted in old medieval Europe. The aim is to continue finding the elements that connect both traditions. The band is formed by: Iman Kandoussivoz (percussion), Muhannad Dughem (voice, oud) and Juanma Rubio (viola, lute, santur and hurdy-gurdy).